V Findlay Wolfe BLOG: GIVEAWAY! 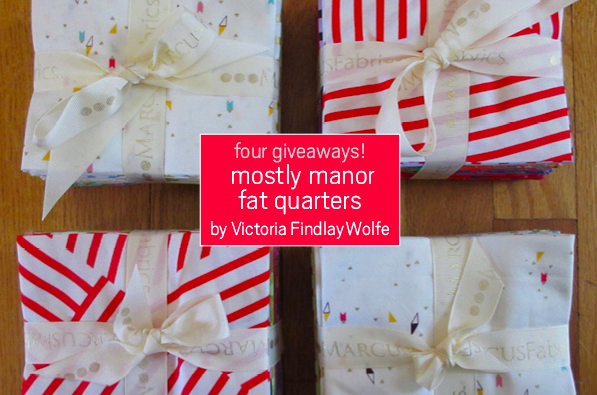 My friend Patricia at Okan Arts is giving away FOUR BUNDLES of my MOSTLY MANOR FABRIC!! Comment at Okan Arts to enter! or if you want to buy it, CLICK HERE! What a great project with these fabrics I like your work ! Lovely fabrics! Your creativity continues to amaze me. I have been following you for longer than I remember. I love your fabrics. I am working on a wedding ring quilt (have a signed copy of your book and love it! I would be thrilled to win! Thank you for your offer. Ooh, ooh, me, me! ;-) Thank you for this chance - what fun it would be to win these lovely fabrics. Thank you for all you share. your fabric line is so pretty! (i have been coveting it from afar since you announced it!) thanks for the chance to win some! You are my quilting hero. Love the way your mind works to produce your quilts and to design your fabric. 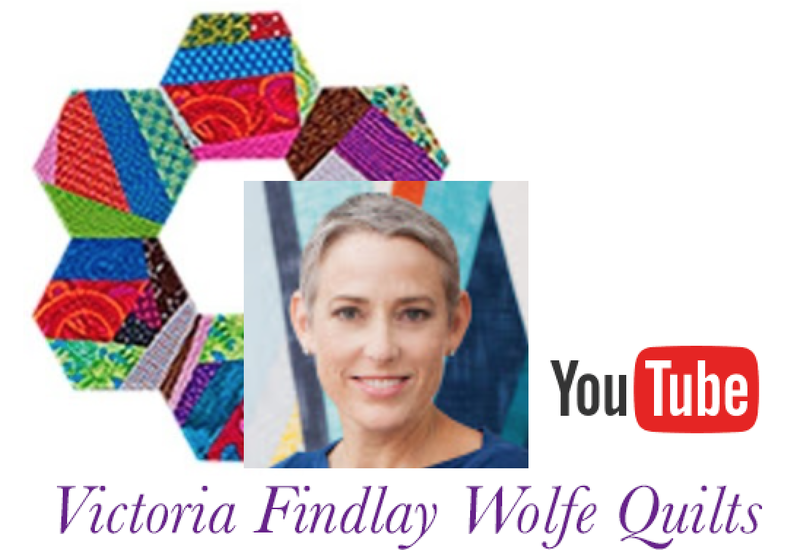 Just so you know, Frances at The Off Kilter Quilt spent several minutes of her podcast this week letting her listeners know that you are Victoria, not Virginia! 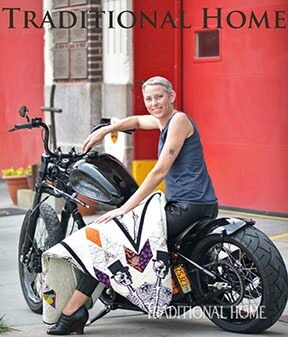 She is one of you biggest fans, and she did recently did VFW 15 minutes of play inspired quilt. 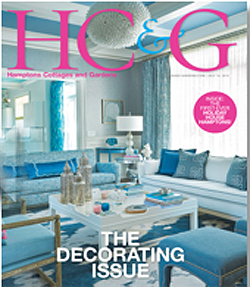 Love the new fabric collection! Those stripes are the best! Mostly Manor is just what my stash needs to add a punch of color and excitement! I love it all but those stripes are my favorite! Yes, I use a lot of non matching fabrics as I quilt with gifted scraps. I've been following you a long time and have your Fifteen Minutes Play book. Yummy fabrics. I'd love to help make more mini Drunkard's Path blocks for your charity quilt, if you still need more blocks. Just wish I had thought to ask you, while at QuiltCon. How fun those would be to play with. We just began a quilt project at our guild using your ingenious ideas as our inspiration. I so look forward to seeing what everyone comes up with as they pass around our little quilts for the individual touches people will put on each of them. Thanks for the giveaway but especially for the inspiration. It's such a gorgeous line of fabrics - your Family Album quilt knocked my socks off! 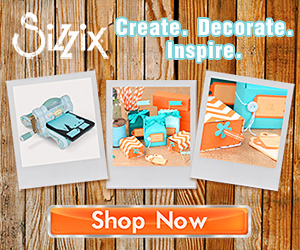 your stripe print is so exciting! I need some. Your beautiful fabrics are as eclectic as all your gorgeous quilts! I'm not much for FQ "sets" usually, but of course I'm delighted at a chance to win some of yours to play with! Love Okan Arts: such beautiful fabrics! Hi Victoria - I will admit I already own some of the striped colorways of Mostly Manor because I could not resist them! I would be really excited to think that I would have a chance to win a whole bundle!!! Sometimes it's fun to just put non matching fabric together. I guess that's why I love scrappy quilts. Julie (another one of your students at the Quiltcon Pies & Points class) and I bought a layer cake of Mostly manor to share. She is cutting it on the diagonal and we will see what we can each make out of it. I think HSTs will be very interesting with the strips included in the collection. Of course, my favorite is the print with the big, lush bunch of flowers. 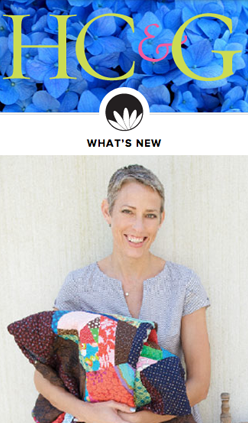 Congratulations on your new fabric line! It is lovely! Thanks for the link to the giveaway. I'd love to see this fabric in person. What a lovely giveaway; your fabric is beautiful. Thanks! Love this range! I'm still deciding what to make......I have 3 ideas and just need to choose.....or combine! Your encouragement transformed the way my daughter, Christy, has approached quilting. She has no fear of y-seams or any other technique now. Wonderful! Thanks so much. Love your new line of fabric! Brings back memories of my own grandmother and family gatherings. Thank you for your inspiring work and lovely quilts. Such a beautiful and fun group of fabrics! Cotton and Chocolate is a great shop but how could it now be with you put chocolate with cotton! I like your fabric line but haven't seen it at my local shop. C&C is two hours away so I don't get there often. I sure would love to win a bundle like that. But regardless, i AM going to buy some of the striped fabrics. They are too cool and so versatile. I went directly from QuiltCon to a retreat and visit in Georgia and just got home, haven't even unpacked yet. Unfortunately, I was in a car wreck on the way back, and totaled my car. I'm fine, but my sewing machine may not be. So I may be hand sewing my stretch hexie for a while - which will probably be easier for me anyway - LOL! Over meeting you in person at QuiltCon. Great fabric; especially the stripes! Thanks! Beautiful! I need more to finish a EPP project! 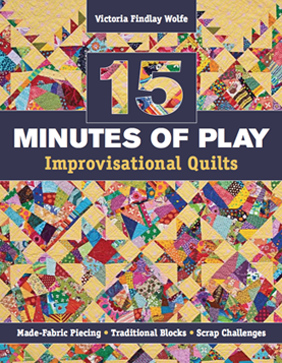 Congratulations on your win at Quilt Con.....15 Minutes of Play is still one of my inspirational "go to" books. You speak my quilt language. I'll take a shot at a bonus - need more Steam Punk blocks!! Your stripes are amazing, I think everyone has fallen head over heels in love with them! I see so many possibilities for your Nelson, Elise, and Beatrice prints in projects I want to make. Gorgeous fabrics, and surprises are the best! love the fabrics...hope I have some luck! you are a great inspiration! I look forward to reading your blog, wish I could keep up with your energy. Love your new fabric lines. Congrats on your recent quilt show ribbon. Well deserved. You are such a joy to the quilting community! I love your fabrics and just bought Double Wedding Ring quilt book. 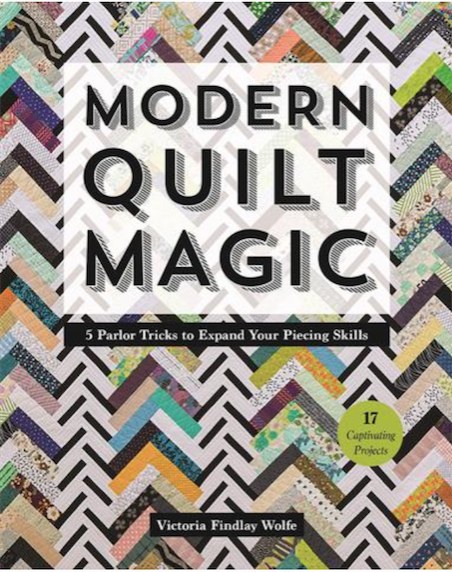 Looking forward to sewing a quilt from the book. Your such an inspiration! I'd love a chance to win some of your gorgeous fabric! I just love your Mostly Manor fabric line...so I was super-excited when you mentioned there was a giveaway to enter!!! Whoopie! Unfortunately, even though the bundles were donated by Marcus Bros., your Canadian/International fans are excluded from entering/winning. I enjoy your blog immensely and bought "15 Minutes of Play" when it first came out...and it is a great investment...I have been training my Virgo self to let go and play! 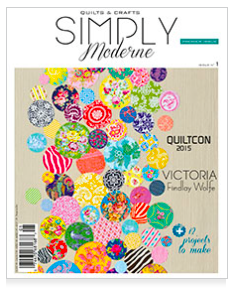 I also purchased the latest APQ mag that you are featured in...that stretched hexie quilt is the next one in line for me! Anyway, just thought I'd let you know how much you are appreciated...from a Canadian fan! PS: Are you still collecting solid siggie blocks? Love your Mostly Manor fabrics too...glad I didn't have to pick a favorite tho! :) Looove the stripes..so coooool!!! Ohh pick me! Pick me! Love this line! Hope to see you soon! & hope all is well your way! lovely fabric line, esp the stripes...yipes! thanks for inspiring us all.. When was the last time you had this many comments?! 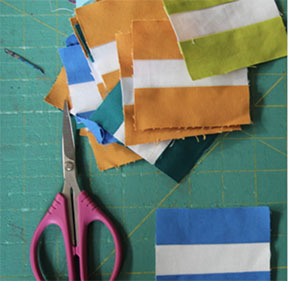 I've got a wish list of fabric I'm saving for this year and your stripes are top of the list. It looks like very fun fabric! Love the fabric, both colours and design. Love Mostly Manor! What a lovely quilt it would make! 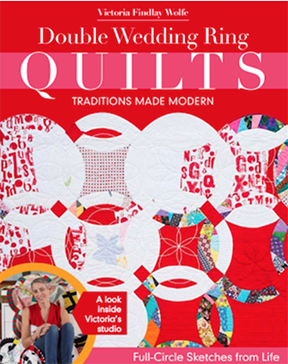 Love your double wedding ring quilts - so special!!! I wish that I was brave enough to combine fabrics the way you do. Has it always come easy or is it an acquired skill.....practice makes perfect? I love your fabrics, especially the orange floral and all of the stripes! I managed to buy some of the line in Pasadena, but not the stripes - need some! Thank you! I took a doodle piecing class from Patricia last October and LOVED it! Her yukata cottons are gorgeous. I would love to combine some of them with Manor House. Now to budget for a class with you!